Her childhood didn’t appear to be very lucky. When she was four, just a few short years after the move to Sydney, her father left on a trip to the United States and never returned. This left her frazzled mother to look after six children, of whom Wake was the youngest. She was constantly butting heads with her mother and, at the age of sixteen, she left home to work as a nurse. She might have continued working independently in Sydney had it not been for the unexpected inheritance of £200 (about £11,500 today) from her aunt which allowed her to seek out adventure. Arriving in London in 1932, she started a course in journalism. Her new career took her to Paris, where she lived for a year reporting on the situation in Europe as well as the rise of Nazism. However, she had time for fun, too, and took full advantage of Parisian nightlife. Soon, the girl from humble beginnings had charmed Henri Fiocca, a French millionaire. They married shortly after the start of World War II and she moved into his mansion in Marseilles. Wake was a working woman, however, and despised the Nazis. She could not abide sitting back while they marched into France. As such, she joined up with the local Resistance movement, acting as a courier. She became an invaluable part of the Resistance movement, carrying important messages from one resistance group to another. It took the Nazis a while to figure out they were being duped by a beautiful, outwardly flirtatious woman, but when they did, they hunted her fiercely, eventually even putting a 5 million franc bounty on her head. 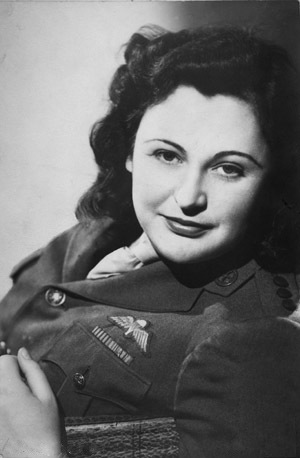 From Spain she made her way to Britain, where she trained for sixteen weeks with the Special Operations Executive. At the end of this intense training, she was something of an expert in explosives, hand-to-hand combat, and weaponry. She was ready for her first mission: to assess resistance groups in France and let London know what each group needed in terms of munitions. We all know that war was largely a “man’s” game back then, though, and despite parachuting into the forests of l’Auvergne to carry out her duties, she was met with many resistance fighters who couldn’t believe that Britain had sent in a woman for this job. They refused to treat her with respect—that is, until she challenged the leaders to drinking contests which she nearly always won (in true Australian form. Later, she mentioned that she liked to consume at least six gin and tonics a day). In doing so, she was able to take some 7000 resistance partisans under her wing. When D-Day arrived, Wake commanded her “troops,” organizing them to fight against the German soldiers rushing to reinforce their fellows at Normandy. She and the resistance fighters blew up bridges and wrecked trains, narrowly escaping capture. As if all of that wasn’t enough, Wake also killed a German sentry with her bare hands to prevent him from alerting the rest of the men that an attack was in full swing. Later, they liberated Vichy which had been in the hands of collaborationists. It soon became clear that the Allies were going to win the war. Allowed into a recently liberated Paris, Wake and her friends found themselves at the British Officers Club acting a bit rowdy. The waiter serving them boldly proclaimed that he would rather be serving German soldiers than put up with them for another moment. An angry Wake told him exactly how she felt by “knocking him senseless with a right-hook.” A fellow waiter came running with a shot of brandy to revive the poor man. Nancy grabbed the shot instead, drained it, and said “Merci” before walking out the door. After the war, Wake was decorated with medals from the United States, Britain, and France. It was sixty years before she would be granted medals from her native Australia and New Zealand because she hadn’t served with the Australian forces during the war. ‘The last time there was a suggestion of giving me [an Australian medal], I told the government they could stick their medals where the monkey stuck his nuts. The thing is if they gave me a medal now, it wouldn’t be given with love so I don’t want anything from them. They can bugger off! However, Australia did eventually make her a Companion of the Order of Australia in 2004; in 2006, she was granted an RSA Badge in Gold from New Zealand. In her later years, she returned to Sydney with her second husband, RAF pilot and former prisoner of war John Forward. She tried several times to run for politics with the Liberal Party of Australia, but was never elected. Nevertheless, she and her husband were quite happy, living together in Sydney until he died in 1997. In 2001, at the age of 89, she packed up and moved back to London. Wake suffered a heart attack in 2003, but she kept on fighting until 2011 when, at the age of 98, she passed away following a chest infection. She lived to see her story memorialized in books, TV, and movies. The character of Charlotte Gray in the book by the same name by Sebastian Faulks, which was later turned into a movie with the title character played by Cate Blanchette, is based on the exploits of Nancy Wake and other female operatives during World War II. After her death, Wake was cremated and her ashes were scattered in France near the mountains where she fought with the Resistance.